Take off your shoes and takeout your slippers! This delectable set of salmon (orange) and tuna (red) rolls are sure to satisfy your cravings for rest and relaxation. 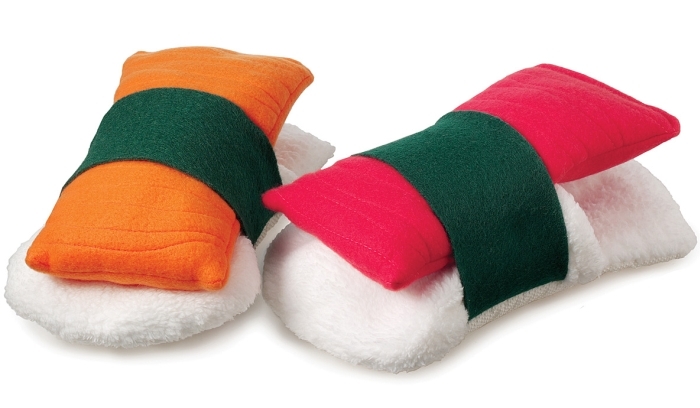 Handmade from plush fleece with extra-cushy batting and no-slip, water resistant soles.